Cardiomyopathy is a serious, but rare, disease of the heart muscle. Cardiomyopathy commonly results in heart failure and is the leading cause of heart transplantation in children older than 1 year of age. The Pediatric Cardiomyopathy Registry (PCMR), which has been funded by the National Heart Lung and Blood Institute (NHBLI) since 1994, has enrolled and followed more than 3,500 children with cardiomyopathy in the US and Canada. Results from the registry have established the incidence of pediatric cardiomyopathy in North America, determined the prevalence of heart failure, have identified causes of cardiomyopathy, as well as transplant and survival patterns. In this chapter, we will describe the design and operation of the PCMR and present a summary of results. 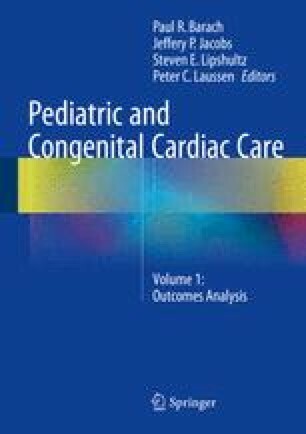 The PCMR is an example of how a well-designed and well-conducted patient registry can provide important insights into the etiologies, clinical course, and patient outcomes for a rare disease, in this case cardiomyopathy in children. The work of the PCMR would not have been possible without the collaboration of many physicians and other health professionals, scientists, and research staff from the United States and Canada. Special acknowledgement should be given to our PCMR investigators: Steven D. Colan, MD; Gerald Cox MD, PhD; Jane Messere, RN; Lynn Sleeper, ScD; Jeffrey A. Towbin, MD; Stephanie Ware, MD, PhD; John Lynn Jefferies, MD, MPH; E. John Orav, PhD; Daphne Hsu, MD; Steven Webber, MBChB; Charles Canter, MD; Linda Addonizio, MD; Beth Kaufman, MD; Melanie Everitt, MD; Elfriede Pahl, MD; Paul Kantor, MBBCh; Paolo Rusconi, MD; Robert E. Shaddy, MD; Paul R. Lurie, MD; David Connuck, MD; April Lowe, MS; Bonnie Salbert, DO; Tajinder Singh, MD, MSc; Jorge Alvarez, AB; Biagio Pietra, MD; Ranae Larsen, MD; Jacqueline Lamour, MD; Renee Margossian, MD; Beth Kaufman, MD; Susan Foerster, MD; Wendy Chung, MD; Rakesh Singh, MD, MS; and Juanita Hunter, MD. We would also like to acknowledge Mrs. Lisa Yue and the Children’s Cardiomyopathy Foundation for their continuing support of the PCMR. And finally, we would like to express our most sincere gratitude to the children with cardiomyopathy and their families whose participation has made the PCMR possible.